Examining the anthracite coal trade's emergence and legacy in the five counties that constituted the core of the industry, the authors explain the split in the modes of production between entrepreneurial production and corporate production and the consequences of each for the two major anthracite regions. This book argues that the initial conditions in which the anthracite industry developed led to differences in the way workers organized and protested working conditions and the way in which the two regions were affected by the decline of the industry and two subsequent waves of deindustrialization. The authors examine the bourgeois class formation in the coal regions and its consequences for differential regional growth and urbanization. This is given context through their investigation of class conflict in the region and the struggle of workers to build a stable union that would represent their interests, as well as the struggles within the union that finally emerged as the dominant force (the United Mine Workers of American) between conservative business unionists and progressive forces. 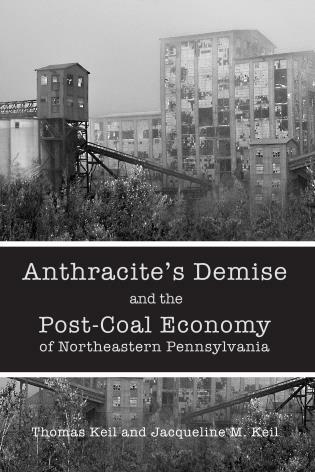 Lastly, the authors explore the demise of anthracite as the dominant industry, the attempt to attract replacement industries, the subsequent two waves of deindustrialization in the region, and the current economic conditions that prevail in the former coal counties and the cities in them. This book includes a discussion of local politics and the emergence of a strong labor-Democratic tie in the northern anthracite region and a weaker tie between labor and the Democratic party in the central and southern fields.